According to a report by Screen Digest, the game market on the British Isles in the current year has reached a profit of 1517 million pounds, compared to only 1,161 million pounds of profit in the music industry. 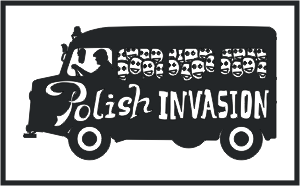 The idea of Polish Invasion was originally created to name a joined trip of twenty Polish game developers to Nordic Game Jam 2012 in Copenhagen. The trip would not be possible without its sponsor: Unity Technologies, but also without our organizational work. The team of Polish Invasion was very successful in Copenhagen, out of 18 teams that made it through their qualification groups into semifinals 6 included our people, while we were only 20 of 500 participants. And finally In Space No One Can Hear You Cry by Ret (Bartek Sieczka) and ExclamationMark (Marek Bączyński) ended third! From that wonderful adventure a brand was born which goal is to support the expansion of Polish gamedev and game making community. And yes, the bus is also from there. But it also represents incredible expansion of polish developers in gamedev industry and community. Polish Invasion now aims to promote game making in all its types  programming, marketing, graphic design etc. We organize conferences and meetings for the community, arrange trips for Polish game developers to foreign game-related events, carry out game-making classes for children and last but not the least  we organize various game jams open for all. ZTG GameDev Convention is game design conference happening in Poznań, Poland every year in October as side event of the Poznań Game Arena fair. The Conference brings together games industry professionals, researchers and educators from around Europe, who are actively engaged in game development. The Conference features numerous talks by distinguished guests on subjects including, but not limited to, design, business, programming and art in games, as well as workshops, panels, side events and game jams. The two previous Conferences were visited by circa 2000 participants each and hosted nearly 50 talks and presentations each. Poznań Game Arena fair is one of the biggest game trade fairs in Europe and the largest in the region. It draws together over 45000 visitors, interested in games, gaming hardware and gaming culture.